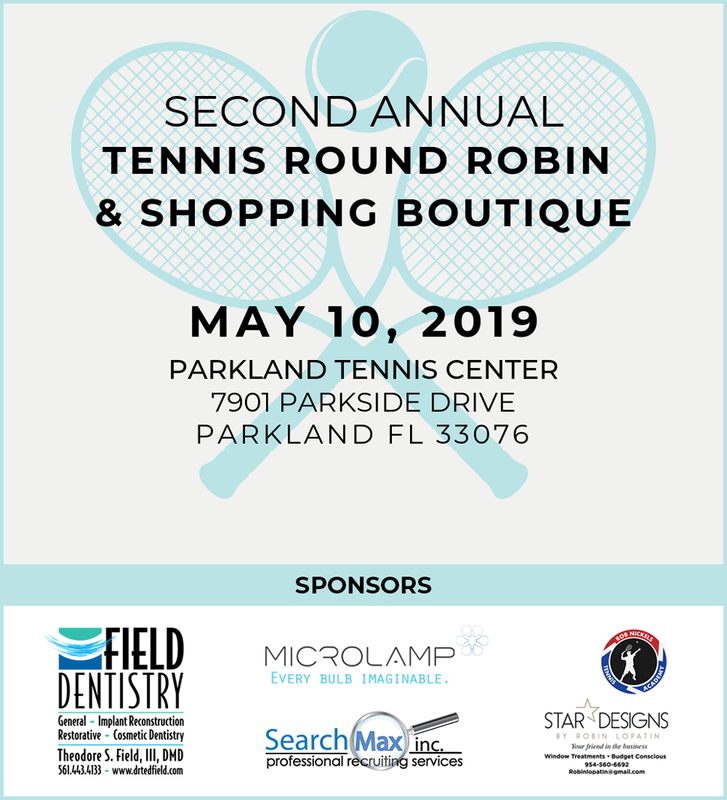 Come out and join us for the Second Annual Tennis Round Robin & Shopping Boutique! This year’s goal is $50,000… Please help us reach it!!! The event will start with two women’s Round Robins in the morning and will continue with an exhibition match with tennis pros. All participants can enjoy the game of their favorite tennis pros and cheer for them while helping Make Our Schools Safe. The event will also include amazing raffles and silent auctions. From 6:00-9:00 PM we will be hosting a youth Round Robin Tennis event with dinner, entertainment and raffles. All donations from the event will go to Make Our Schools Safe. Join the event and help us create a safer community for everyone.